- The laser directly acts on the molecular chain of the material to minimize thermal effects. The 355 series UV marking machine adopts the top 355nm UV laser band in the processing industry, which can minimize the effects of deformation and thermal effects of processed materials. 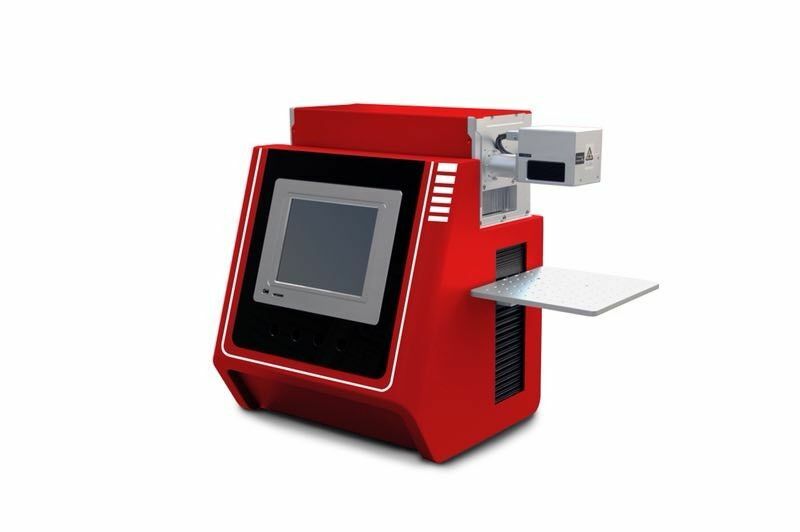 It is especially suitable for marking the packaging surface of cosmetics, pharmaceuticals, food and other polymer materials; flexible PCB Plate marking, dicing; silicon wafer micro-hole processing; metal surface marking, plastic buttons, plastic (PC, PVC, PE, etc. ), electronic components, household appliances, gifts, communication equipment, building materials, ultra-fine play Standard.